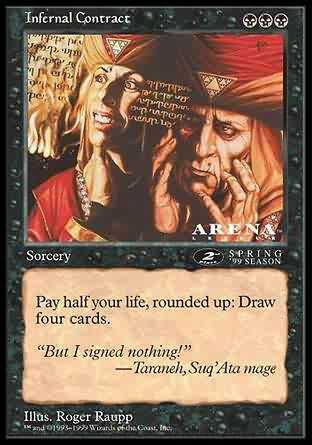 Pay half your life, rounded up: Draw four cards. Draw four cards. You lose half your life, rounded up.